The 74’s Romy Drucker Sees Millennial Hope for Market-Driven Ed Reform. I See Pro-Reform Vapor. In January 2018, The 74 co-founder, Romy Drucker, published an opinion piece about a survey conducted in the summer of 2017 by Echelon Insights and regarding millennials’ views on education. The survey was funded by two organizations: the Walton Foundation and the Foundation for Research on Equal Opportunity. Echelon Insights, on behalf of the Walton Family Foundation and the Foundation for Research on Equal Opportunity, conducted an opinion research study on millennial adults in the US during the spring and summer of 2017. These focus groups were followed by a survey of 800 adults aged 18-35 across the United States, conducted June 21-July 5, 2017 via YouGov web panel (margin of error of +/- 4.9%). The survey included an additional oversample to total 300 interviews with K-12 teachers aged 18-35 (margin of error of +/- 7.1%). Echelon Insights, supported by the Foundation for Research on Equal Opportunity (FREOPP) and the Walton Family Foundation, conducted a study of Americans 18-35, with an additional deep dive into the views of both millennial parents and millennial teachers. During the summer of 2017, Echelon conducted a series of focus groups and a national survey to assess how millennials feel the public education system is doing and what they would do to improve it. The findings paint a picture of a generation open to re-thinking many, but not all, aspects of how we run our nation’s public schools. Open to re-thinking many, but not all, aspects of how we run our nation’s public schools. There’s a hopefulness underlying the poll numbers though, glimmers that millennials can finally be the ones to reckon with our inequitable education system because we know it is stifling the American dream. Reformers tend to spend a lot of time fighting battles, but this is my war — inspiring millennials to see this issue like I do, as one that has practical, scalable, data-driven solutions that can allow us to retake our future. All we need is courage and a political will to implement them. Of course, I’m optimistic that millennials can get there. Any other way of thinking would be, well, old school. The thing about us millennials, though, is that we like to defy labels. So don’t call us the Education Generation yet, though there is hope that we may be. Given the margin of error (+4.9%), a “jump to around 40 percent positive” for school choice could be 44.9 percent– or 35.1 percent. The reality is that very few millennials are very familiar with the concept of “school choice”– only fourteen percent in our survey research said as much. Another third report being “somewhat familiar,” but the majority of millennials say they are unfamiliar with the concept. As a result, many do not have an opinion on whether “school choice” is positive or negative; 27 percent say school choice is “positive” while ten percent say it is “negative”; most hold a neutral view or say they have simply not heard enough about it. There is less agreement over what type of school a student should be able to attend “while being able to take some of that state or local funding to their new school.” Nearly half (49 percent) support letting the funding follow the student to another traditional public school, and 38 percent support this for public non-profit charter schools. However, only 28 percent believe the funding should be able to go to a private, non-religious school, and only 17 percent think funding should be able to go to a religiously-affiliated school. If teachers are what make a school thrive, then what causes a school to be struggling or failing? Here, millennials again point to teaching as an essential factor, with some 46 percent of millennials say that “ineffective teaching” is one of the most important factors in what causes a school to struggle, followed closely by “inadequate school funding” (41 percent). Participants were asked a loaded, dichotomous question: “Big changes,” or more funding? Millennials get that education is key to opportunity, and also know that not every student has a chance to access a quality education. So what should be done about it? Is the problem that schools today need big changes, or is the problem mostly that schools are underfunded? While school funding rises to second-place on the list of factors that cause a school to struggle, we wanted to put this idea to the test in a heads-up question: do schools need big change, or do they just need more funding? was only “fair” or “poor” are even more emphatic, with 80 percent saying schools today “need big changes.” This finding cut across race, gender, and political ideology. The apparent follow-up is “how big”? Of course, there is more than one way to pose this question. We also offered respondents a contrast that pitted the upsides and downsides of big change against one another. Do millennials worry more that we will make change and it will be “too radical, and throw out the things that are working best in schools today” or that we will instead not make significant enough change? When asked what schools ought to be doing for students, there is not a clear consensus. Should high schools focus on preparing students for future academic pursuits, or should they focus on real-world lessons and career training? On the question of whether high school should prepare students for college, attitudes vary widely depending on the education level of the respondent; millennials with college degrees (62 percent) or graduate degrees (81 percent) are much more likely to think high school should prepare students for college, while only 37 percent of those who did not pursue college felt the same. Who should be able to be a teacher, then? When asked about opening up the teaching profession to those without an education degree, six-in-ten millennials think that it should be possible for someone with “real-world experience” but no education degree to become a teacher “because we need people from career fields like science and engineering to be able to educate students,” while 40 percent say it should not be possible to become a teacher without an education degree. It seems that respondents assume that those with alternative degrees already possess “real world experience” prior to hitting the classroom– and that those individuals would automatically be teaching courses aligned with their non-education degrees. It does not appear that respondents were asked whether one should be allowed to teach if one 1) has no teaching degree, 2) has no “real world” experience in his/her degree, 3)is assigned to teach a subject that is not aligned with his/her degree, and 4) only plans to remain in the classroom for two years. In other words, respondents were not asked about Teach for America (TFA) reality. But while there is an openness to change in how we define who can become a teacher, there is resistance among millennials to changes in how teachers are evaluated and compensated. We presented respondents with a debate over “pay-for-performance” in teaching, asking them to choose which statement they agree with more: that teachers should be paid “in part based on how much their students learn each year, since this is what matters most” or if “credentials and experience” should be the determining factor because “it is too difficult and unfair to judge them on other factors.” By a nearly two-to-one margin, our respondents say to stick with credentials and experience as the primary determining factor in teacher pay. 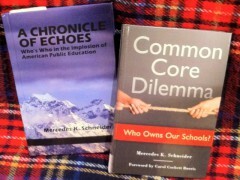 Interestingly, once respondents were provided with an idealized definition of charter school and how charter schools are supposed to work (absent any hint of potential system-gaming or corruption that comes with being quasi-private-public), they thought that merit pay, college readiness (as opposed to college or career readiness) and teachers with backgrounds in other fields (presumption of certification still might be there; not sure) were fine for charter schools. In much the same way that few millennials have familiarity with or a strong opinion on school choice, few are very familiar with public charter schools. This instant support makes a great school choice sound byte. Of course, the problem with instant support is that it lacks roots. Pro-market vapor– not the makings of the solid, pro-charter support the Waltons hoped to have (but didn’t) for Massachusetts’ November 2016, failed charter-cap-raising ballot initiative, Question 2. And what does the public do when it hears of market-driven ed reform that it doesn’t understand? The public turns to its teachers for their thoughts on the matter– an element of undoing for Walton-funded efforts to expand charter schools in Massachusetts. Let us consider the teachers. Even more than non-teachers, they feel their own education was a good one, and they have an even more negative view of the education the average student receives today, with two-thirds of millennial teachers saying students get a “fair” or “poor” education these days. And teachers have higher expectations for what our schools should be doing for kids; while only half of millennials overall think that students should be college-ready upon leaving high school, that climbs to nearly eight-in-ten millennial teachers. …While millennials overall lean against supporting “pay-for-performance” measures, millennial teachers feel that way much more strongly, with 88 percent saying that it should be credentials and experience, rather than what their students learn, that should determine their pay. Even when asked about their own compensation, 77 percent of millennial teachers would prefer to be paid via a system of “steps” based on degrees and years in the classroom, while only 14 percent would prefer to be paid based on their evaluations and their students’ progress. This is not to say they oppose all new approaches to compensation; two-thirds (65 percent) would prefer to receive portable retirement benefits via a 401(k) or other form of retirement account, while only one-in-five would prefer a traditional pension that vests after a decade of service. I would have liked to see the actual item resulting in the 69 percent “positive view” of union membership by dues-paying union members. Even the 31 percent who are not in the “positive view” category still pay dues to belong to the union. Some 87 percent of dues-paying union member teachers said they felt they benefited from union membership. In contrast, among the half of teachers who did not pay dues to a union, 63 percent said the union in their state or district did not benefit them. Regarding Massachusetts’ failed Q2, Walton-paid consultants advised the Waltons to appease unions on future ballot initiatives by including funding for traditional public schools. While teachers are much more familiar with the concept of school choice, their views toward school choice start off negative, with only 19 percent of millennial teachers initially holding a positive view of choice, a view that improves by 20 points once choice is defined. Furthermore, teachers are even more likely than millennials overall to think student should be able to choose a different school if they have special needs and talents, or if their zoned school does not offer programs such as Advanced Placement. A healthy majority (58 percent) of millennial teachers are supportive of funding “following a student” provided that student continues to attend a different traditional public school. 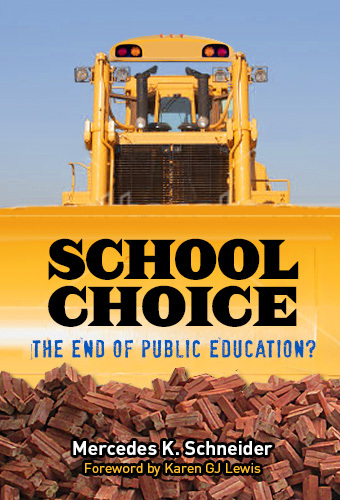 However, when presented with two debates over school choice where millennials overall tend to side with supporters of school choice, millennials take the opposite view, with millennial teachers leaning toward the opposition on keeping “public money in public schools, and with 63 percent saying that failing schools do not need the threat of school choice but rather need more support and help in order to become better. Charters divide millennial teachers, with a slim majority (55 percent) of millennial teachers tend to side with arguments from opponents of charter schools who criticize them for taking resources away from traditional public schools, compared to 45 percent who agree with supporters of charters who argue that they offer “more opportunity” for many kids who need it. On public charters, millennial teachers similarly begin with a slightly negative view (33 percent negative, 22 percent positive), and move to a positive view once public charter schools are defined (27 percent negative, 34 percent positive). So. Do the Waltons, and Drucker, and even “godfather Joel Klein” have the makings of a millennial “hope” for corporate ed reform? According to the Echelon Insights report, the millennial buy-in just isn’t there. This is not opinion research; it’s opinion production. No legitimate survey research group would publish findings and not release the survey questions and the order in which they were asked. « The Walmart-ization of Charter Schools: Goodbye, Little Fish.